Typically, we start with the site layout to understand and present the orientation of the home properly. 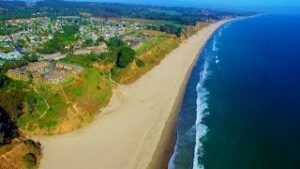 We take advantage of views and other geographical features of Rio del Mar in Santa Cruz County. Our complete sets of custom home plans include the site plan, floor plans, elevations, foundation, floor framing, roof plan, sections and the construction notes. We take into consideration the specific needs of home owner or builder during the home design phase and throughout the process, while always keeping Rio del Mar local and Santa Cruz County building codes at the forefront of our design development. Pricing for our Custom Home Plans in Rio del Mar, CA vary.